Step into the world of Le Soleil Day Spa & Salon and experience state-of-the-art, skin and body treatments the Premier Day spa of Glendale, Burbank and the San Fernando Valley, let our trained therapists nurture your skin and body with our relaxing & rejuvenating treatments. Our goal is to combine our experience with the most advanced training in skin care and spa services from around the world. 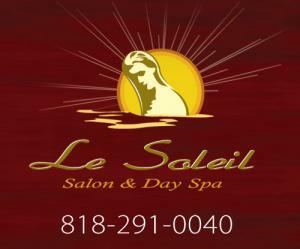 Le Soleil Day Spa & Salon uses safe, natural, botanical ingredients. We believe that prevention with consistent, professional rejuvenating day spa treatments and proper home care can provide lasting, positive results on the skin and body. We provide, body treatments, facial, manicures, pedicures, make up applications, waxing, hair service, bridal services, hair laser removal, Botox, Restylane, Skin rejuvenation, Microdermabration and Chemical Exfoliation. 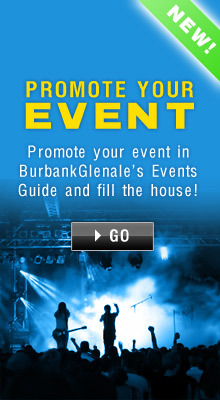 We also offer special packages for you to choose from. Gentlemen are welcome. I have been driving by this place for maybe 2 years and never payed any attention to it. I really thought this was a church or something. So during Valentines Day I got a gift certificate and decided to try it. I got a manicure and a pedicure and a mini facial. The service was very pleasant. They took their time and I did not feel rushed at all. The prices are a little higher then say a retail nail spot, but the care, time, privacy and ambiance is worth the little extra. I am getting a gift card for my mom for Mothers Day. Will update on her experience later.